Department of Art | 621 Gallery Oct AUCTION Save the Date! 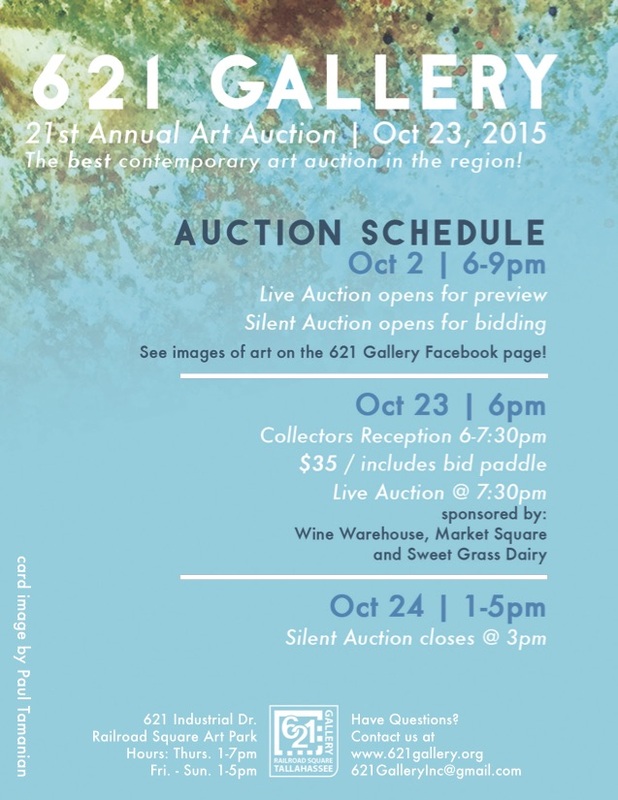 Home » News » 621 Gallery Oct AUCTION Save the Date! 621 Gallery Oct AUCTION Save the Date! Our 21st Annual Art Auction is coming up in October. Please save the date and come by to view the art before the Collectors Reception and Live Auction on Friday, October 23! The best contemporary Art Action in the Region! See images of art on the 621 Gallery Facebook page!